later, on the same extravagant scale. and was famous for its vaudeville acts. remodeled and turned into a movies-only theater. 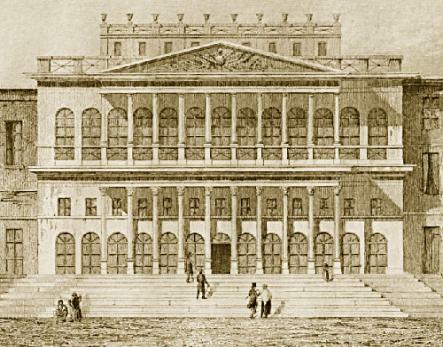 it was even home to a burlesque company and called Casino de Paree. once one of the most important theaters in American history. 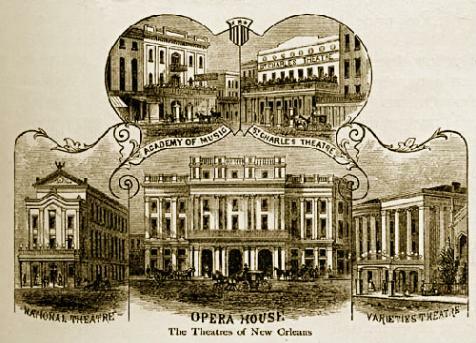 lower left, National Theatre, lower center, French Opera House, lower right, Varieties Theatre. 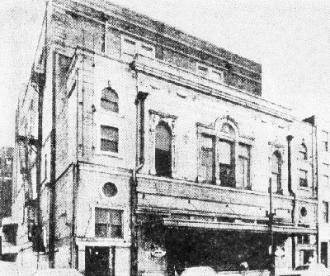 its second incarnation, between 1843 - 1899.
called the Orpheum, probably in the 1910's. The theater as the Casino de Paree, 1940's. 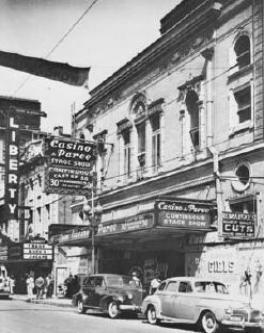 Notice the Liberty Theater next door. The old St. Charles Theatre shorty before demolition.